HAIO succeed break through MA200 resistance level. Stochastic %K at overbough stage. 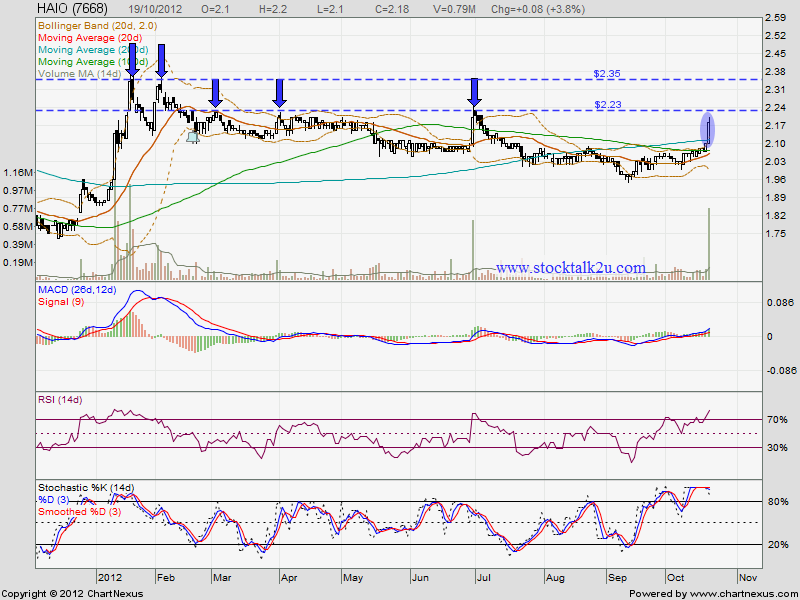 Immediate resistance @ RM2.23 level. 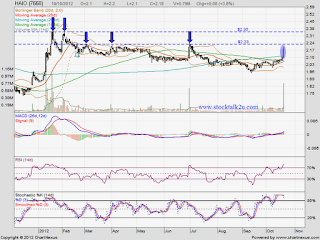 Subsequent resistance @ RM2.35 level. Subsequent support @ MA100 / MA20 level. Higher high been formed, watch out for higher low.